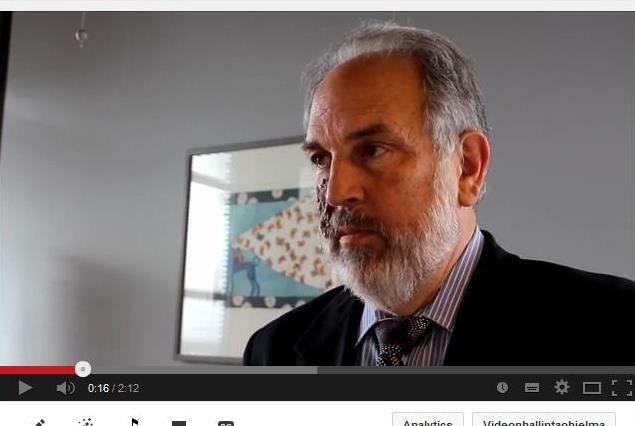 MIT Professor Lawrence Susskind predicts more conflicts in the future due to climate change. New resolution methods are needed. Professor at MIT and founder of the Consensus Building Institute, Lawrence Susskind is among the world’s top experts and researchers in the field of environmental conflict resolution and building consensus between different stakeholders. He briefly addressed these themes at Sitra when he visited Finland in June. According to Susskind, the consequences of climate change are likely to increase the number of future conflicts. As adapting to rapidly increasing changes will not be easy, new conflict resolution methods are needed. In the interview, Susskind also discussed the resolution of environmental conflicts in the mining sector. This section of the interview will be presented at the “Towards a more responsible mining industry” by-invitation-only seminar to be held on 13 August 2014 in Rovaniemi. Seminar speakers will also include Alan Young of the Canadian Boreal Initiative and Rick Meyers of the Mining Association of Canada. They will share international experiences on the collaboration between the extractive industry and its stakeholders. Lawrence Susskind was also interviewed by Akordi Oy. (Interviewers and writers: Jonna Kangasoja and Lasse Peltonen).